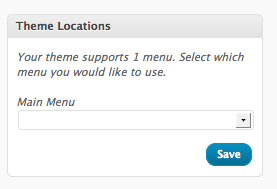 One of the coolest new features in WordPress 3.0 is the ability to add custom menus. In this post we’ll walk you through the process of adding custom menu support to your existing them as well as setting up the custom menus in the admin section. 1. Add the register_nav_menus function to your functions.php file. This will allow your theme to recognize and register a custom navigation menu. 2. Replace the code for your current navigation menu (in your header.php file) with wp_nav_menu. Using the above code will replace your existing navigation menu with one you specify in the new Menus section (see below). 3. Log in to the admin area of your WordPress site and go to Appearance > Menus. That’s it! 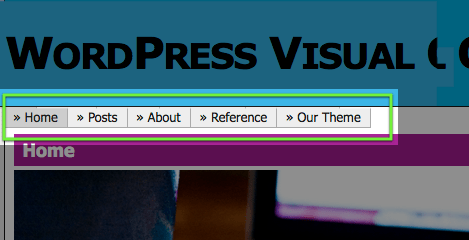 You’ve just set up custom menus for your WordPress theme. You can add, delete or re-order your menu items any time you want. Additionally, you can add custom menus to your sidebar, too – without touching a single line of code. Just add a new custom menu by clicking the plus sign next to your existing menu. Once you’ve got your new menu named and some menu items in place, go to Appearance > Widgets and choose the Custom Menu widget. Drag it to your sidebar, give it a name, and you’re ready to roll!